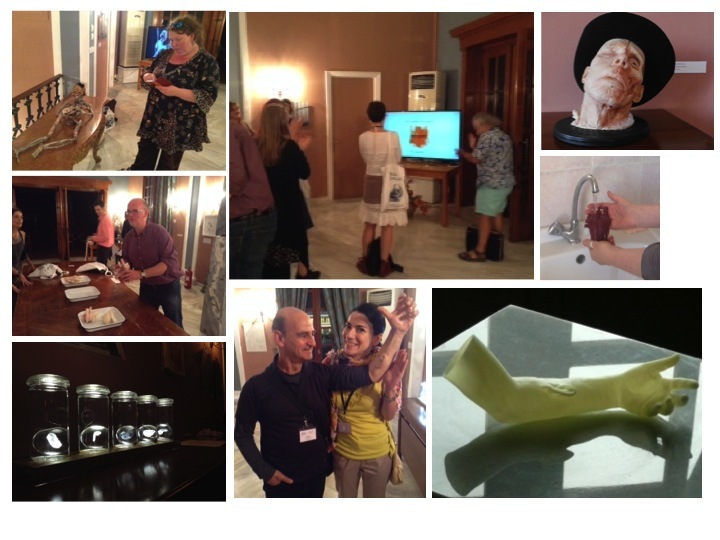 Various shots from the touring international exhibition Fabrica Vitae about the fabric of life inspired by Andreas Vesalius that took place during Vesalius Continuum (Zakynthos 4-8 September 2014). In association with the MEDinART video screening (the video will soon be available from Vimeo), 16 famous artists whose work is featured in MEDinART have exhibited their anatomy inspired artwork. Among them: Eleanor Crook, Pascale Pollier, Andrew Carnie, Lucy Lyons, Helen Pynor, Susan Aldworth, Chantal Pollier, Ann Holden, Joanna Culley, Mara Haseltine, Dino Valls, Isabelle Dalle, Rachael Allen, Lisa Temple-Cox, Nina Sellars, Stelarc.